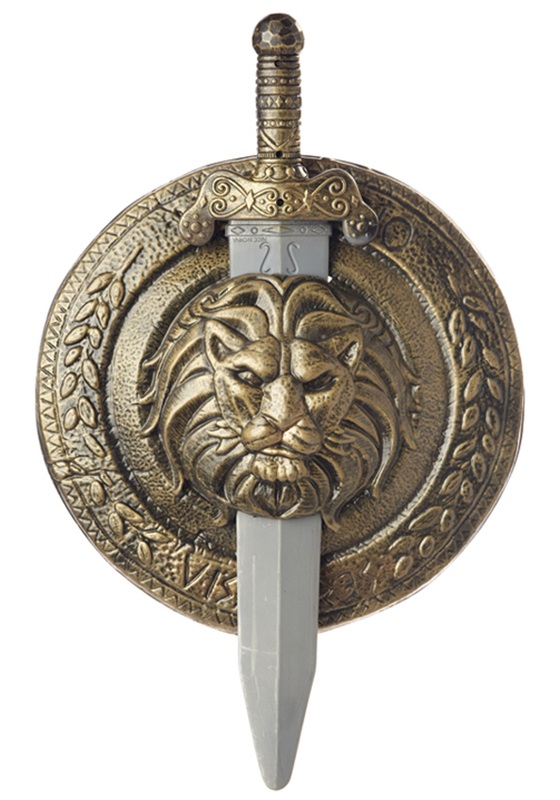 Are you always picking up the weapons of your vanquished foes, only to find yourself tossing them aside the next time a lion challenges you to a Greco-Roman wrestling match? You're not alone. According to a recent survey, one in five men may experience problems keeping track of his sword in the arena. This debilitating problem can result in emotional distress, confusion, and a drastic reduction in the number of his remaining limbs. And it afflicts more people than you might think! But now, there's hope. This detailed armament combo makes use of a revolutionary advance in faux metallurgy that allows a warrior to sheathe his weapon inside his shield! 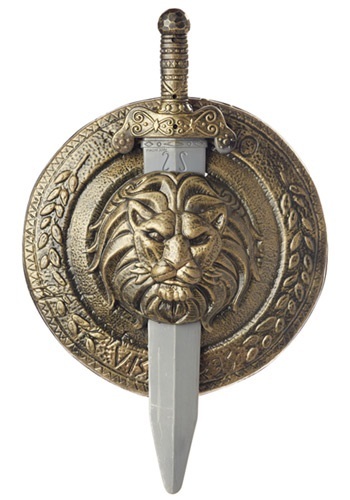 We expect both the gladiator-on-the-go and the hands-on naturalist to make heavy use of the slot deftly concealed behind the lion's head relief at the center of this buckler, which fits the included broadsword. Who says that there's nothing new under the sun? The shield is a little small, perhaps because I'm 6'2, so it looked kind of comical when I was holding it.